Be the first to hear about their new releases and deals. Download the Booksprout app and search for Donna F. Brown today! 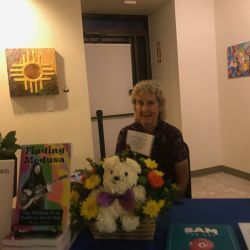 I am a published author who released her book, "Finding Medusa-The Making of an Unlikely Rock Star!" This story chronicles my life journey through my turbulent childhood, discovering music at an early age and joining a rock band, and all the adventures and detours I encountered on the journey that ultimately led me back full circle to my musical roots. I am also an avid reader, writer, runner, hiker, climber, skier, and outdoor sportswoman!